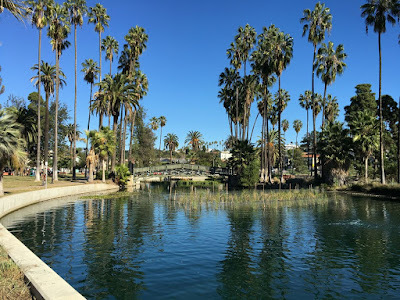 Last November I was back in Southern California for a conference and had some time before hand to experience Los Angeles. 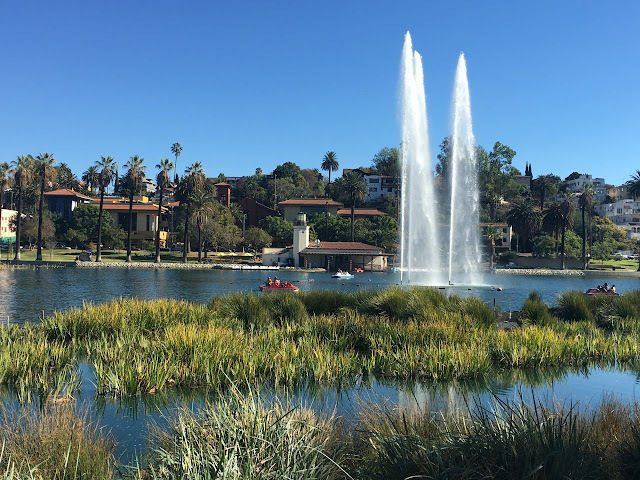 After a morning hike and breakfast with a couple of friends, I wanted to explore Echo Park Lake. 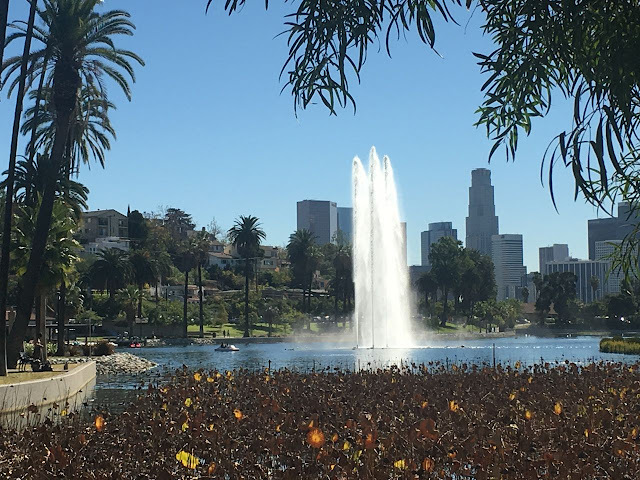 Echo Park lake was one of several waterworks projects completed in the late 1800's to accommodate Los Angeles' rapid growth. The lake is actually a reservoir, completed around 1968, and was given the very creative name: Reservoir Number 4. In a growing city's need for more public spaces, the reservoir became a park - Echo Park Lake - in 1892. The large fountain was installed in 1984 when Los Angeles played host to the Summer Olympic Games. These photos were taken in November - the famous lotus plants in the foreground were going dormant. Across the street from the park is Angelus Temple, often referred to as America's first mega church. 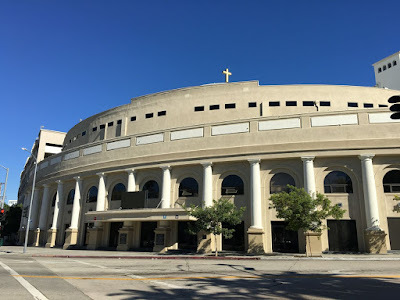 The building opened in 1923 and is considered the flagship of the Four Square Church, a large growing pentecostal denomination. 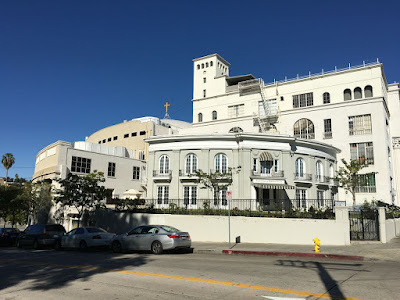 Another view of Angelus Temple. 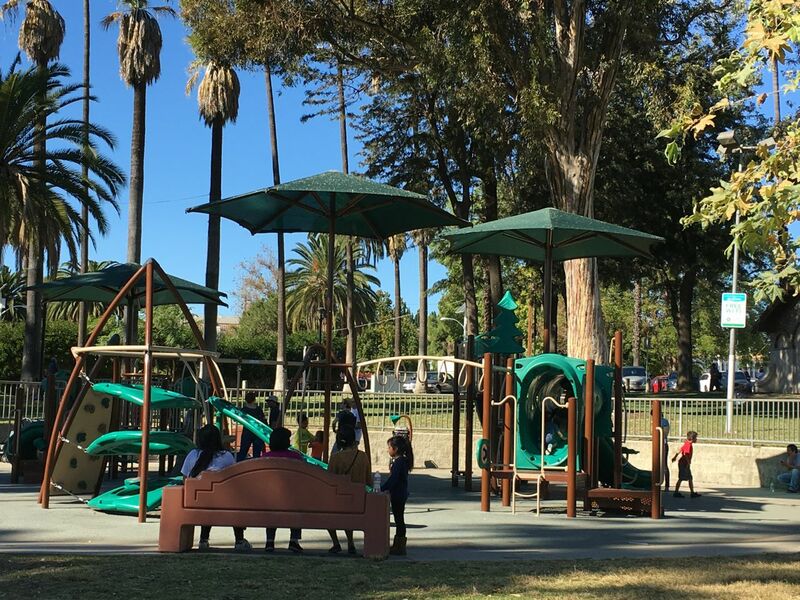 Beyond their Sunday church services, Angelus Temple continues to serve the poor and disenfranchised in the community. 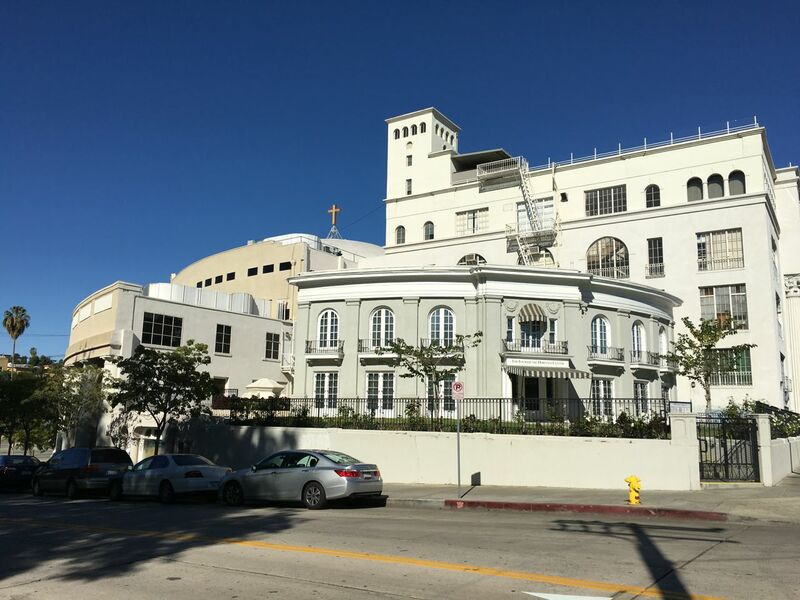 The Dream Center (located in the historic Queen of Angeles hospital building) is the community outreach of the church, working to help men, women, and children escape from poverty, homelessness, addictions, and human trafficking. Here's a link to the Dream Center's website. 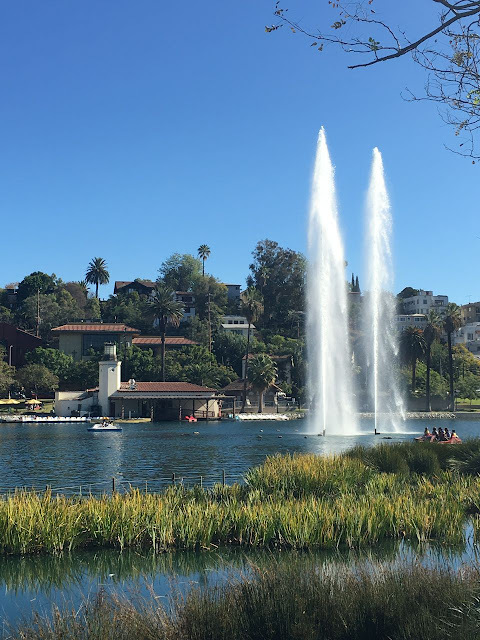 Across the street from Angelus Temple, another view of Echo Park Lake. The lake itself was closed for a couple of years for a massive $45 million renovation, re-opening in 2013. The lake and surrounding park look great. 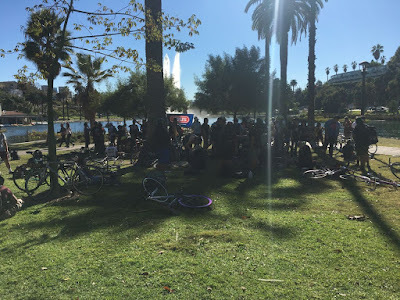 Here's a link to another blog with some additional history. A small wooden bridge (which, unfortunately, was closed). 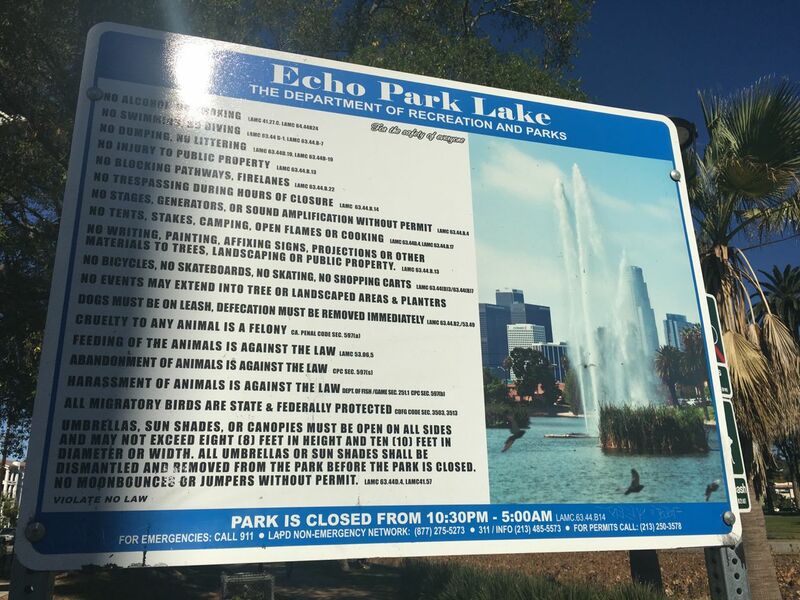 Echo Park Lake was originally modeled after Shipley Park in Derbyshire, England. Derbyshire was home of Joseph Tomlinson, an English immigrant and Los Angeles first supervisor of the Department of Parks. The playground, fortunately, was not closed - with lots of kids and families taking advantage of the play equipment. 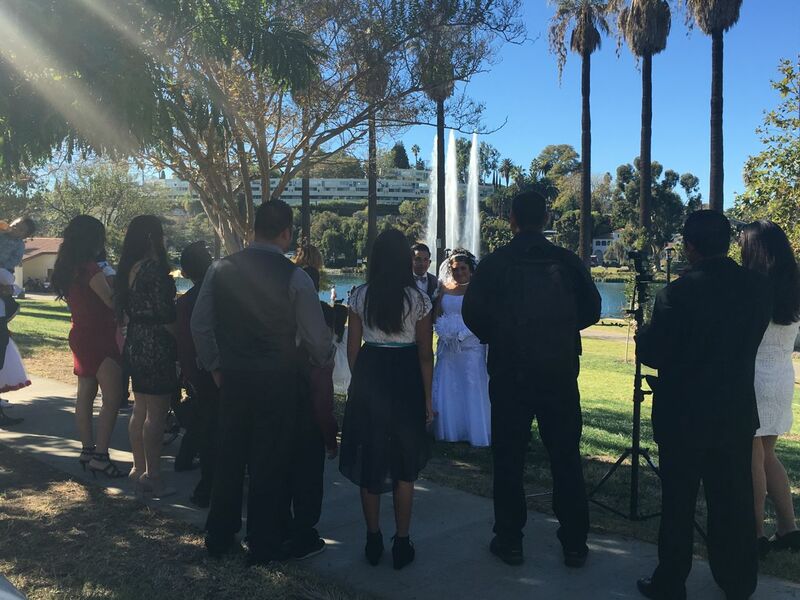 Pretty iddlic setting. 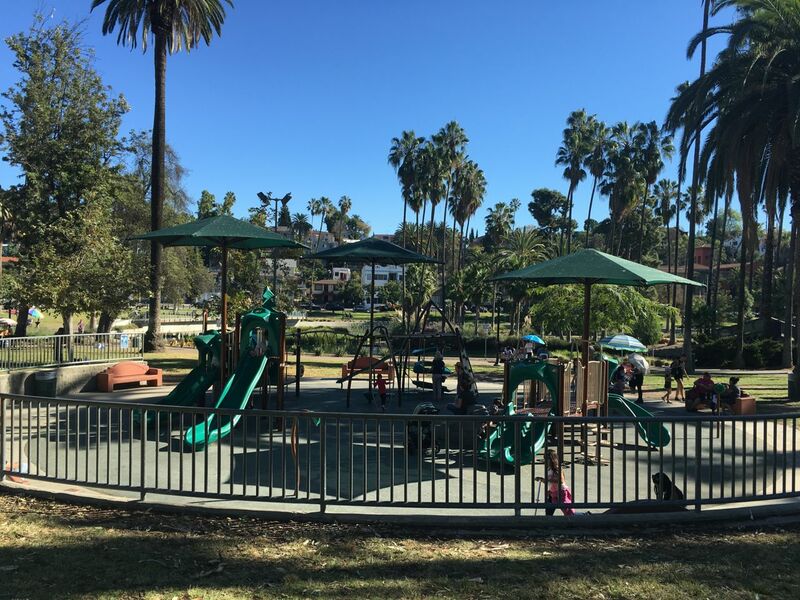 These photos were taken the Saturday before Thanksgiving. 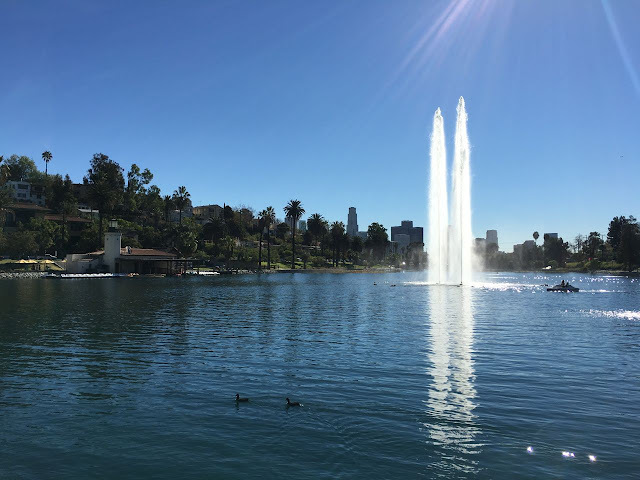 Say what you will about Los Angeles - it's got absolutely incredible weather. 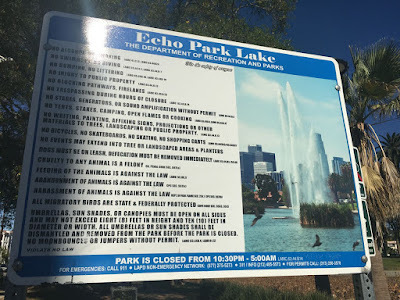 And the Echo Park neighborhood is certainly safer and more family friendly than it was 20 or so years ago. 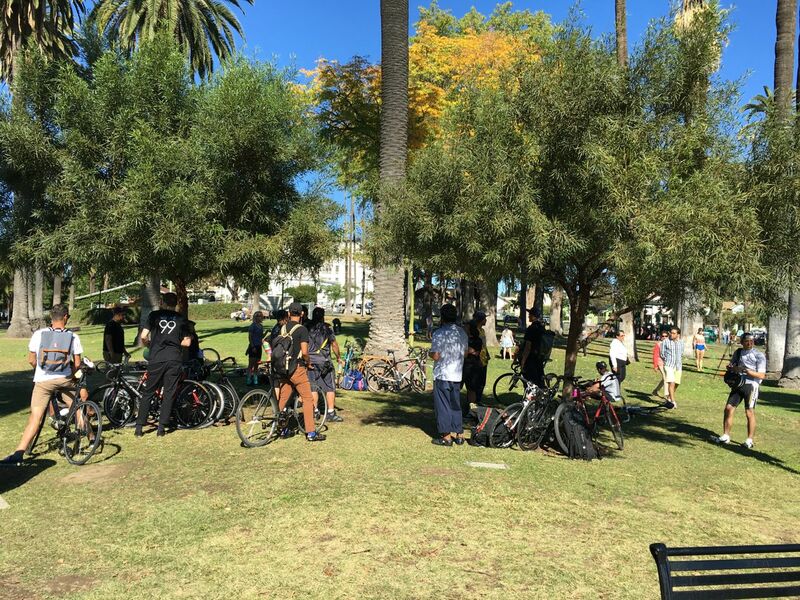 The park also serves as a meet up location for a local bike club. Not wanting to be accused of being a stalker or paparazzi, I though it best of give everyone a bit of space. Large group of road bikers eventually showed up. A small but growing group of Angelenos (residents of Los Angeles) are working to make the city a much more bicycle friendly town, the largest being the regular CicLAvia (think of the word "cycle") events. Here's a link to more info. And, of course, weddings - or, at least, wedding photos. Most of these rules seem like common sense, right? 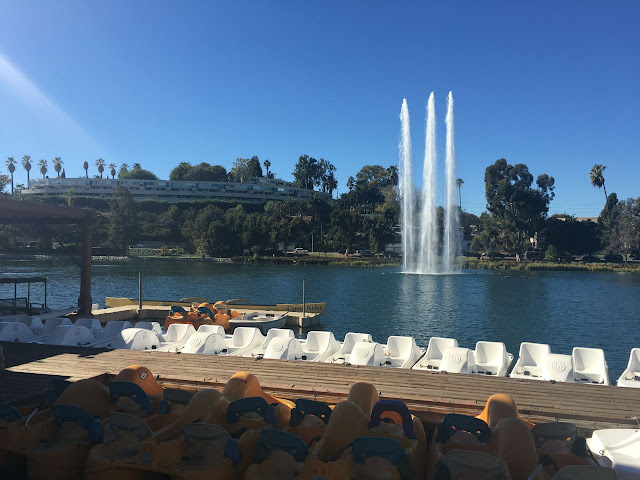 A final view of the boats available for rent, and the fountain. More next time in Park II.